Have a perfect overview of your Challenge. 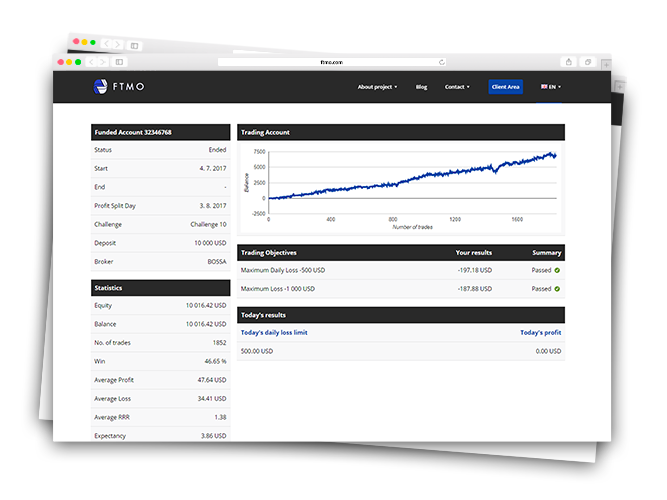 Account MetriX is an innovative and unique web application, which monitors your progress towards becoming the FTMO Trader. The Account MetriX serves every trader undertaking the Challenge, Verification or Free Trial. Thanks to this web application you have a complete overview of the Trading Objectives. In the Account MetriX you will also find a wide range of statistics, which every trader must know. What do you find in the Account MetriX? What our traders say about the Account MetriX?